Isaiah Thomas scored 53 points in an overtime thriller as the Celtics beat the Wizards 129-119 to take a 2-0 series lead on Tuesday night. John Wall did his best to keep Washington in this one with 40 points and 13 assists but it wouldn’t be enough as the Wizards ran out of gas late, getting outscored 25-9 over the final 7:43 of the game. Just like in Game 1, the Wizards were hot early. Washington started 6-9 from the field including 3-4 from three-point range as the Wizards enjoyed the early lead. There were question marks going into the game about Markieff Morris’ health and his productivity if he did play, but Morris put those question marks to bed with 10 points in the period. He even added a little shove to Al Horford as he fell out of bounds to remind that he wasn’t too fond of his Bruce Bowen-like closeout in Game 1. There was a scary moment for Wizards fans as John Wall went up to block a shot from Kelly Olynyk only to land on the wrist that he broke back in the 2015 playoffs. But Wall shook it off as he ended the quarter with 19 points and 6 assists as the Wizards scored a season-high 42 points in the period. The bench also mimicked their Game 1 performance, allowing the Celtics to go on a quick run to start the second period. Understanding the importance of this game, Brooks didn’t play his bench for long as the starters checked back in at the 8:29 mark. The second quarter had an up and down pace where defense was optional as the team traded three-point baskets and transition opportunities. Al Horford got free for a three-pointer to give the Celtics a 59-58 lead late in the period but the Wizards finished out the half strong and led, 67-64 at halftime. The Wizards started the second half hot connecting on six of their first seven field goals and went on a 14-0 run to take a 81-67 lead. However, the momentum was short lived as Otto Porter got hit in the nose and started bleeding while Morris picked up his fourth foul on the same play as both players exited the game. With Porter and Morris out of the game, the Celtics cut the lead to three, 87-84 entering the fourth quarter. It took nearly the entire game, but Bradley Beal got going with eight points to start the fourth quarter, but the final period would belong to Isaiah Thomas. Whenever it looked like the Wizards might stretch the lead, Thomas answered with big shot after big shot. He scored 24 in the fourth quarter including two free throws to tie the game at 114. The Wizards had a final possession to win the game but Wall missed his shot and Beal missed the follow-up on the rebound. Thomas continued his takeover in overtime. With the Celtics up 120-117, he knifed down the lane for a layup to give the Celtics a five-point lead. Then, after a Kelly Oubre dunk, Thomas crossed up Morris and got fouled to give the Celtics a 125-119 lead and effectively sealed the win. The Wizards could do no wrong in the first period. 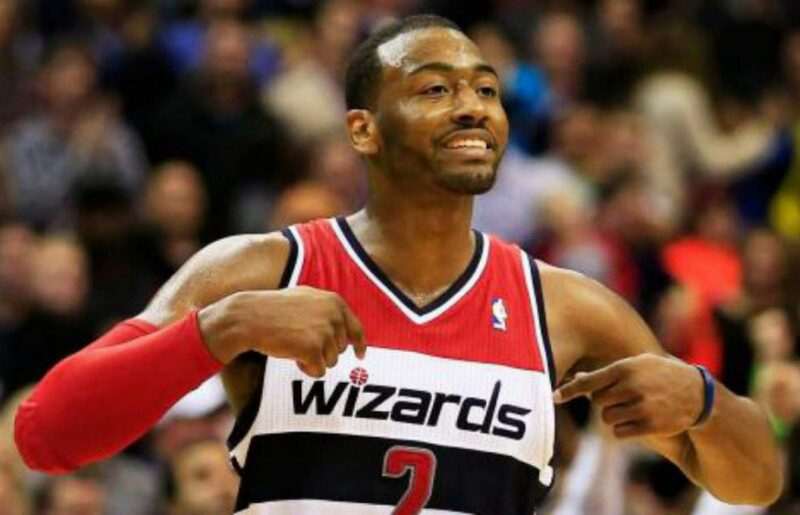 Wall scored 19 points while Morris chipped in with 10, bummed ankle and all as the Wizards shot 62.5 percent from the field in the first period. Washington’s game plan was to go at Isaiah Thomas early and it worked. Every player who Thomas was guarding immediately went into the post to back down the smaller player. Wall was the most effective as he was able to score and pass out of double teams when they came which led to easy baskets for Washington. Washington knocked down five three-pointers in the opening period en route to a 42-29 lead. This was a very physical game right from the get-go. Morris threw Al Horford out of bounds early on as he wasn’t too fond of him landing under his foot in Game 1 and that set the tone. Boston left the Wizards with bumps and bruises as Porter got a bloody nose, Oubre dinged in the chin, and the entire team getting outmuscled on the glass. The Wizards will need to be the more physical team in Game 3 if they have any shot to win that one. John Wall was terrific tonight but one late turnover gave the Celtics an easy basket which the Wizards never recovered from. Washington committed 18 turnovers tonight with many of them coming on lazy passes. The Wizards did everything they needed to walk away with the victory but made too many mental errors to overcome and couldn’t execute down the stretch.